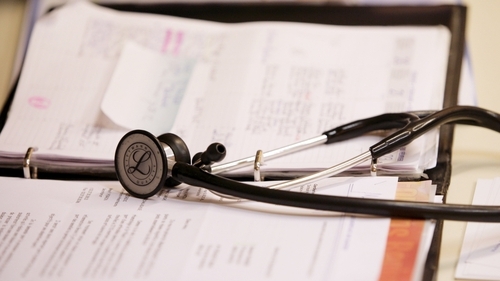 GPs who organised a petition calling on the Irish College of General Practitioners to hold an Extraordinary General Meeting on the provision of abortion services in Ireland, have described the decision to hold it in four weeks time as "wholly unacceptable". The 2 December EGM was announced in a statement by the ICGP board this evening, after it received a petition from hundreds of General Practitioners, who are concerned about the introduction of GP-led abortion services here. This evening, the ICGP wrote to all its members to inform them of the EGM, "to enable detailed discussion" of the provision of termination of pregnancy services by GPs. However, in a statement this evening it also said that according to legal advice received by board members, the petition "was not properly constituted". Committee stage of the Termination of Regulation of Pregnancy Bill is due to commence in the Oireachtas this Tuesday. The GPs who organised the petition have said they approached the ICGP board on multiple occasions to ask for an EGM in order to clarify the attitude of the ICGP membership about the service. They say all those requests were refused. The group has accused the ICGP of ensuring that the voice of mainstream General Practice would not be heard by legislators because the meeting has been deferred "until after amendment stage in the Dáil". The statement says those who signed the petition represent a variety of views on the proposed legislation, but they share a concern regarding the "total lack of consultation" with GPs from the Minister for Health and the ICGP Board. It describes "the level of disregard" by the Board to GPs on the ground as "appalling".